Kenner, M. and White, N., 2009. Mike Kenner Archive. 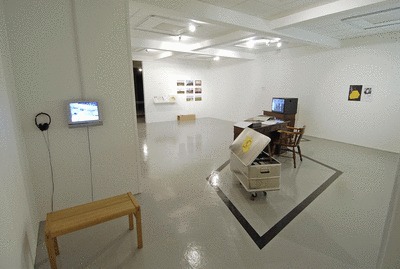 Archive, Installation.UNSPECIFIED. An installation of archive as artwork, created for the exhibition Dark Places by the author. Donated by the campaigner and activist Mike Kenner, the archive contains material of over 30 years of personal research and FOI requests for information to Porton Down, the Cabinet Office and others, all implicated in experiments involving the spraying of the public with alleged toxic materials. Kenner's work has been so sustained in uncovering material, used in a range of research and media coverage, that his knowledge has in turn been co-opted by Porton Down administration, who forward enquiries of this nature on to him directly. This tactic turns Kenner into part of the machine that he resists. The display of the archive followed a three month period of sorting, dating and printing out items with a corresponding master file. Thousands of documents, films and other materials are presented in this a facsimiled version of the original. The catalogue and all the materials are made available physically at the site of exhibition, but not in digital formats due to sensitivity of materials and issues relating to copyright and the Crown. 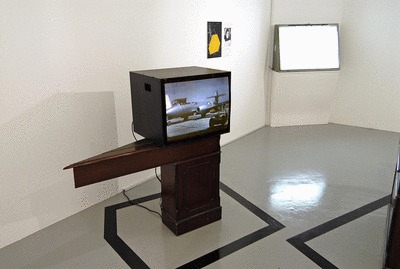 Some films were displayed and the layout is based on an aerial view of Porton Down and a bunker whose boundary prescribes the space of the installation. As with other pieces in Dark Places, the research is published to test out spaces of secrecy and the ways in which a topology of research can be articulated both in its physical and informational forms. As part of Office of Experiments, it also represents the start of the ARC - an Autonomous Research Collection that would aim to collate activist and alternative archives for posterity outside of normal institutional practice.